Financial Due Diligence (FDD) is a process that analyzes the key financial metrics of a business such as the quality of income, cash flow, profits and contingent liabilities and risks. Performing financial due diligence helps to decide if a deal has synergistic viability and a viable business case to pursue. FDD is helpful to evaluate the risks and worth of a deal and arrive at a reasonable price and also help to justify and validate the transaction with the stakeholders. Financial due diligence is done when companies consider strategic transactions such as mergers and acquisition as well as a potential joint venture, financing, investing or other similar deals. FDD helps the acquiring party (we use this term regardless of the nature of the transaction in this article for convenience, but it could refer to a party considering investment, lending, merger or JV) to get a clear financial picture of the target company and the nature and extent of risks it is exposed to. Learn why financial due diligence is a critical step to undertake during public mergers and acquisitions (M&A). Unlike Financial Audit, FDD is non-statutory and non-assertive. The financial professional rendering the FDD service is merely acting as a consultant and advisor and provide an opinion on the deal that is being considered. An audit ensures if the financial records are in compliance with the accounting standards and if they represent the financial position of the company fairly and truly. An FDD on the other hand reveals if the target firm is worthy of the deal and the potential risks and benefits involved in proceeding with the deal and helps the acquiring party to make or break a deal. The scope of the audit is limited to verification of financial statements and transaction and forming an audit opinion but the FDD goes beyond analysing the historical records and also forecasts the future financial performance given the operational and industrial context of the target company. Another key difference is that during an audit, the management of the business being audited extends relatively better cooperation due to confidentiality concerns. During FDD, the management of the target company may not extend complete cooperation in terms of sharing information, so the financial professionals performing FDD must undertake comprehensive measures including interviews, observation and analysis. To evaluate the financial and tax risks of a firm. To investigate the past profitability and cash flow, forecast the potential business prospects of the firm. To evaluate the firm’s assets and liabilities, assess the contingent liabilities that may adversely affect the financial position of the company. To evaluate the accounting policies, procedures, internal control and identify potential integration issues that may arise post deal. To identify issues to be negotiated, warranties and representations to be included, and to determine a suitable price and post-deal business plan. To determine if the deal is aligned to the acquiring party’s principles and business and to validate synergies. 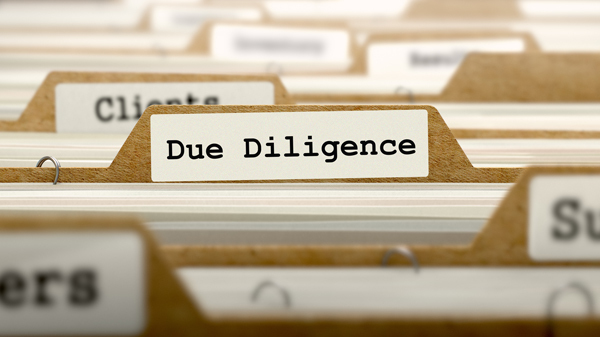 How is Financial Due Diligence Performed? Typically, the acquiring party employs the services of an independent professional financial services company to carry out the FDD. The professional agency, which is generally an accounting firm or a consulting firm, would check if there is any conflict of interest involved in accepting the assignment before proceeding with the FDD exercise. Then upon accepting the assignment, the FDD team’s composition would be determined by the nature of business of the acquiring party and the target company, its history, scale of operations and its complexity. After setting up the team, an investigation plan detailing the objectives, procedures, critical issues to focus, duration would be drawn. The service provider would then review the financial statements of the target company to identify critical factors to be analysed. Through methods such as trend analysis, performance analysis and structural analysis any anomalies and issues would be spotted. Additionally, executives and members of the management and functional heads would be interviewed. If need be, intermediary agencies and institutions would also be interviewed. The target company’s motives to accept the deal is one key element. This would shed ample light on the challenges that it faces in sustaining the operations and the company’s cash flow would provide a more accurate representation of its sustainability. The target company’s accounting policies, financial structure, creditworthiness, asset quality, its ownership and profitability and contingencies would be scrutinised. The company’s design and implementation, as well as the rationality and efficiency of the internal controls, would be tested. The company’s tax exposure, liability, tax treatment, and the fulfilment of paying and withholding tax, concessions, if any, the availability of concessions post-deal and the exposure at the end of the concession period and other tax risks and impending disputes would be investigated. Learn more about the nature of payments and rates to consider regarding withholding tax for payments made to non-residents companies. Financial implications such as capital requirement, investment scales, quality of incomes of the target company’s operations, given the market and legal environment and interest rate, exchange rate and policy changes are analysed to forecast the company’s future earnings and cash flows. Typically, a conservative and sceptical approach is followed in such forecast. A detailed understanding of the target company commences with understanding the evolution and shareholding structure of the company, composition, utilisation of capital, subsidiaries and their relevant details and extends to investigating future commitments and liabilities, post balance sheet events, related party transactions etc. To verify these details the primary source records would be examined during the FDD. Improper recording of contingent liabilities due to oversight of matters such as litigation risks guarantees provided by affiliated companies etc. Mortgaged assets, delinquent assets or assets that lack approval and licenses. Wilful or unintentional tax evasions. It must be noted that the professional firm providing the FDD service would merely offer an opinion based on professional experience and prudence. Such professional judgement is limited to the availability of accurate information. Therefore the FDD report would contain not only the findings but also professional disclaimers and along with the scope and circumstantial limitation of the work. The acquiring party that commissioned the FDD must be aware of its limitations before deciding to proceed with it. After FDD, if the acquiring party is keen on pursuing the deal, an investment feasibility analysis and investment risk and report would be generated. A professional asset valuation firm can be engaged to precisely value the assets before making the investment or deciding the investment value or acquisition price. In case of a merger and acquisition, the acquiring party must take measures to implement a financial management system and internal controls in the target company to ensure alignment with its own. Upon executing the deal, periodic audits will help in implementing corrective actions and avoid risks to minimise the gap between forecasts and actuals. Engage us to do comprehensive financial due diligence. We'll help you cover all the bases when it comes to important financial decisions like buying or selling a business.